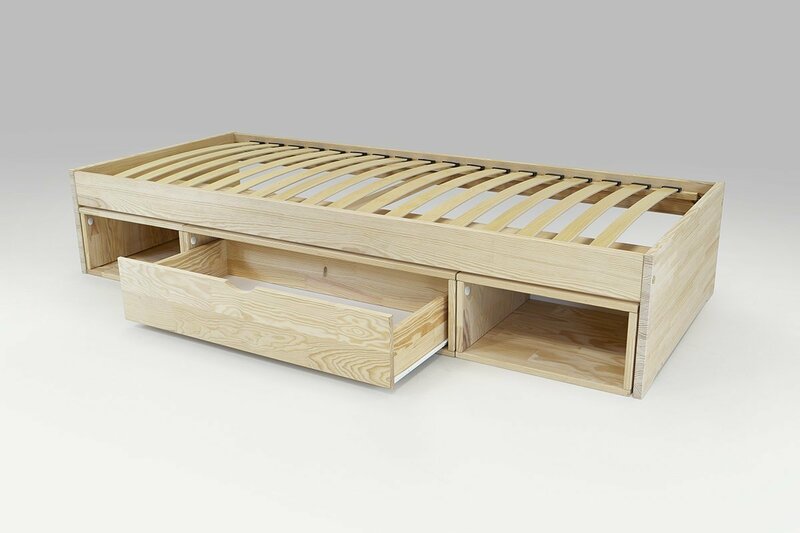 Simple and pratical, the bed Maël will seduce you ! 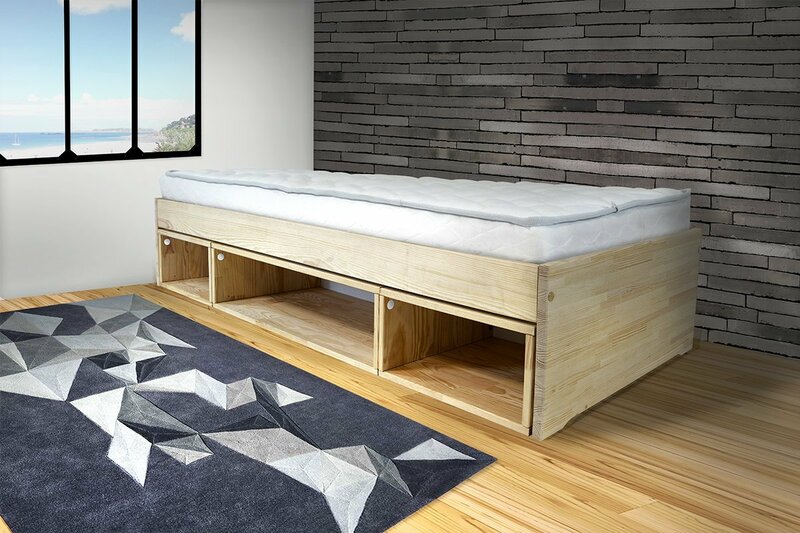 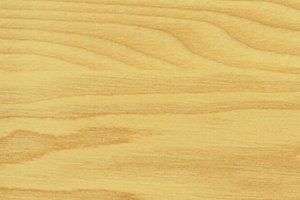 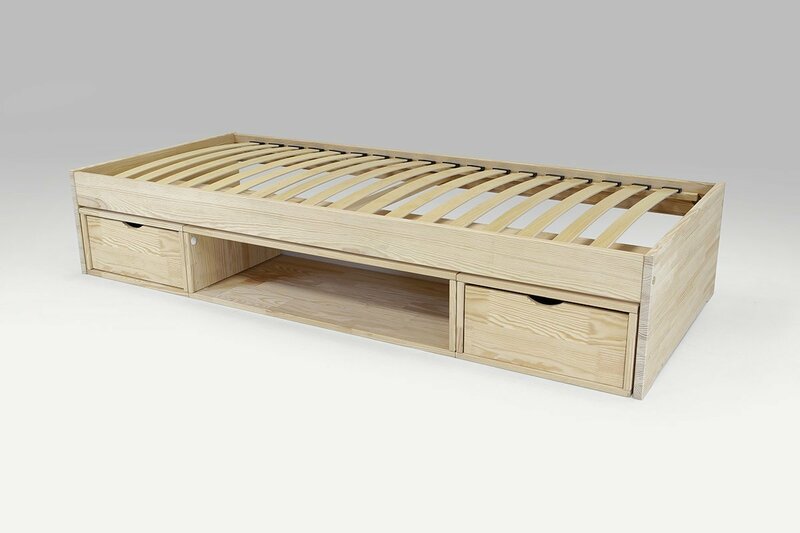 The bed structure in solid pine is robust and his style is clean. Dimension of the bed 90x200 : it consists of a slatted frame with 18 slats, indispensable for your comfort. 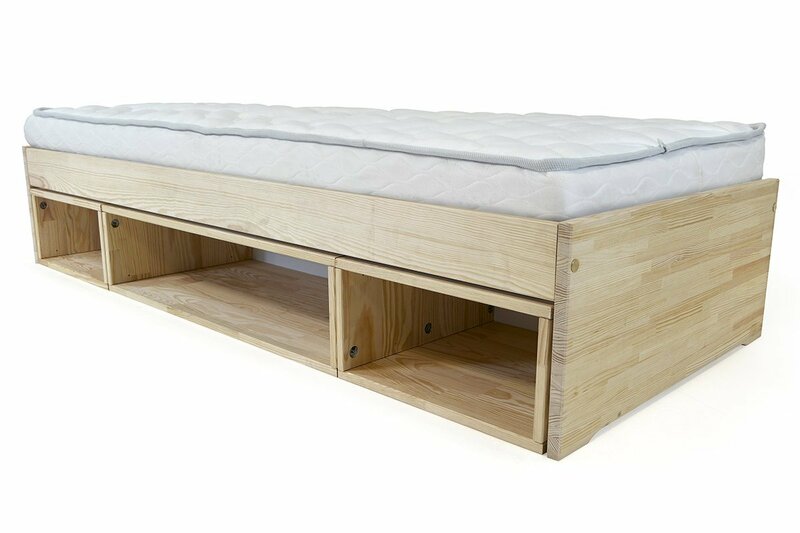 On the bottom you have three blocks storage,profondeur very useful to optimize your storage space. 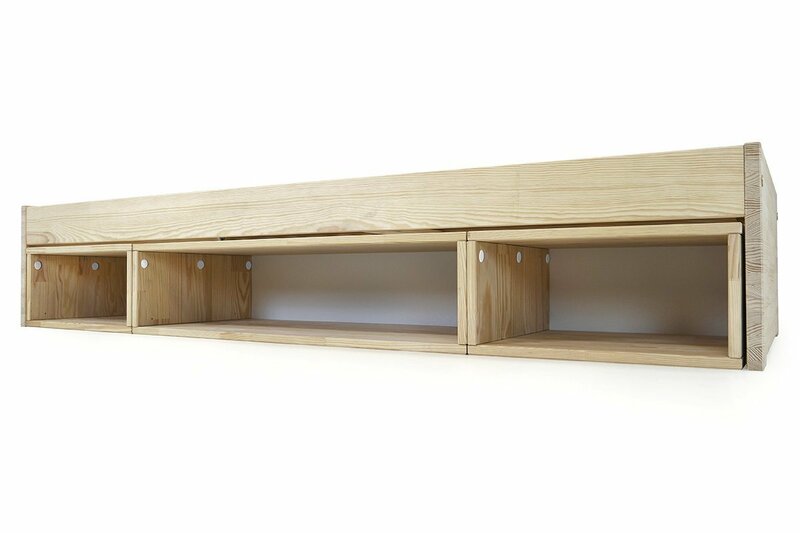 These blocks are also available with drawers (see our packs). 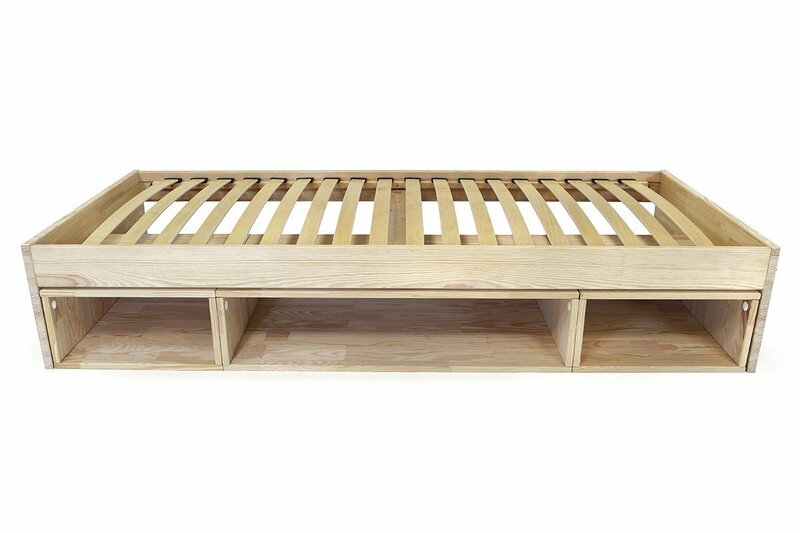 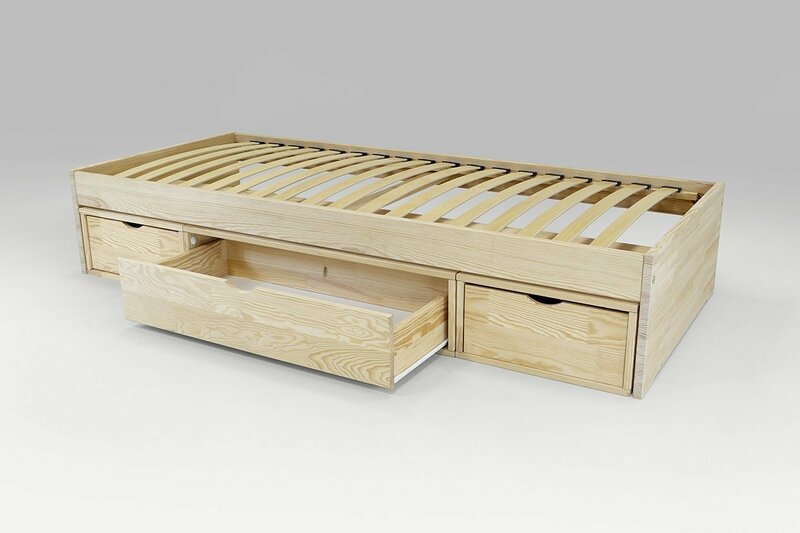 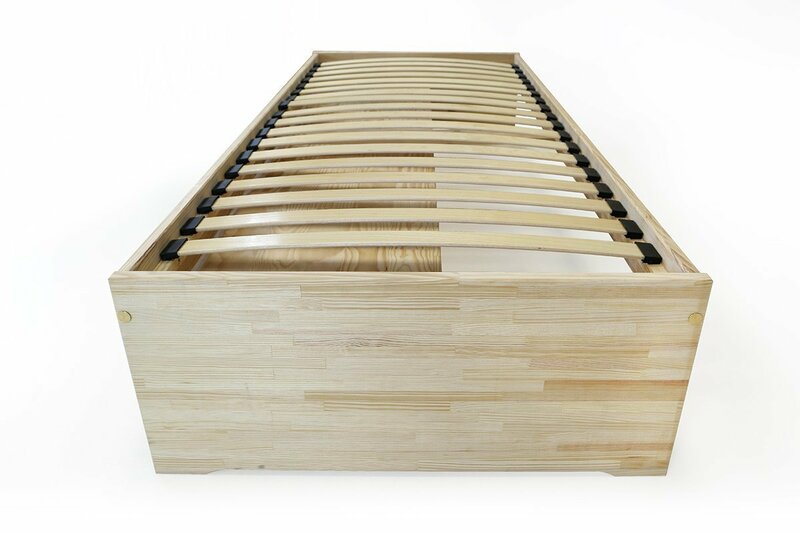 Our children bed MAEL with block storage in solid wood is made in our workshop in Normandy. In accordance with the safety requirements of the standards in force : in an approach respectful of the environment. 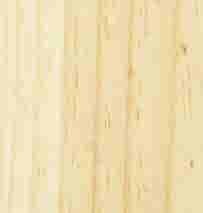 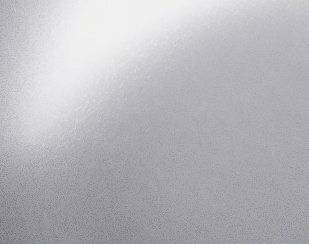 22 water-based, solvent-free and VOC-free finishes for the wellness of your child. 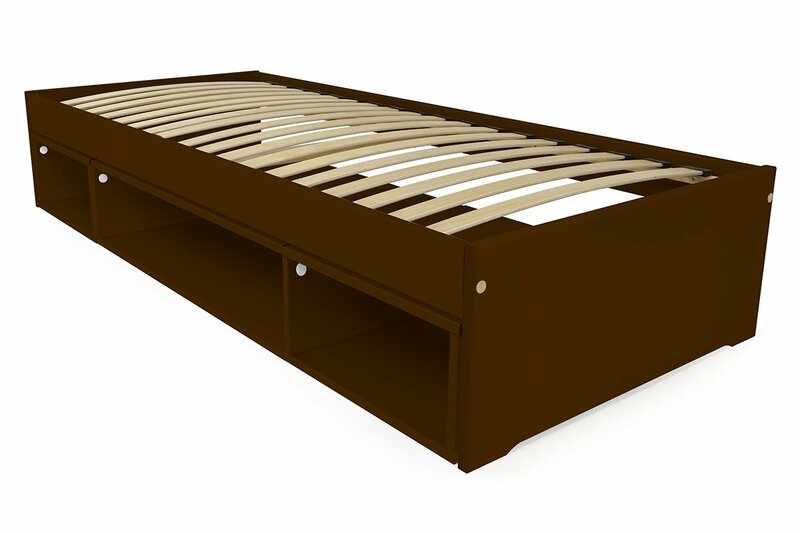 Bed suitable for both children and adults.